The holidays are officially here! We are excited and beginning to deck our halls already. 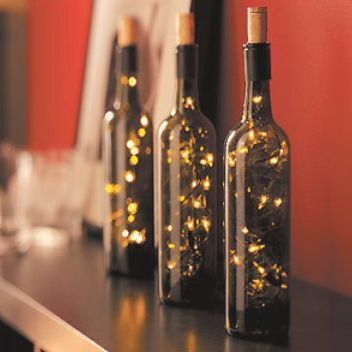 We have a simple DIY Holiday Wine Light to add some fun decor to your home or to gift to one of your friends. This one only takes minutes and has a cute result. Micro LED Lights (sometimes called Firefly lights we have a great set in our Foodie Gift Guide too! Wine Bottle, we suggest one left from our Holiday Wine Shopping List (Here, we actually used a pretty bottle of laundry detergent we were trying out, if you want to try it out too you can find it HERE . Step 2: Remove the label from the bottle. We were able to simply use soap and warm water with a dish brush, but if you have a pesky label you can usually place boiling water in the bottle and have it peel right off, you can find lots of other great tips on removing labels on Pinterest. Step 4: Attach one command strip to the bottle and one to the battery pack of the lights this will allow you to place your bottle anywhere and even take it outside for outdoor entertaining. Step 5: Add ribbon and ornaments. This step is totally optional but adds a nice touch. 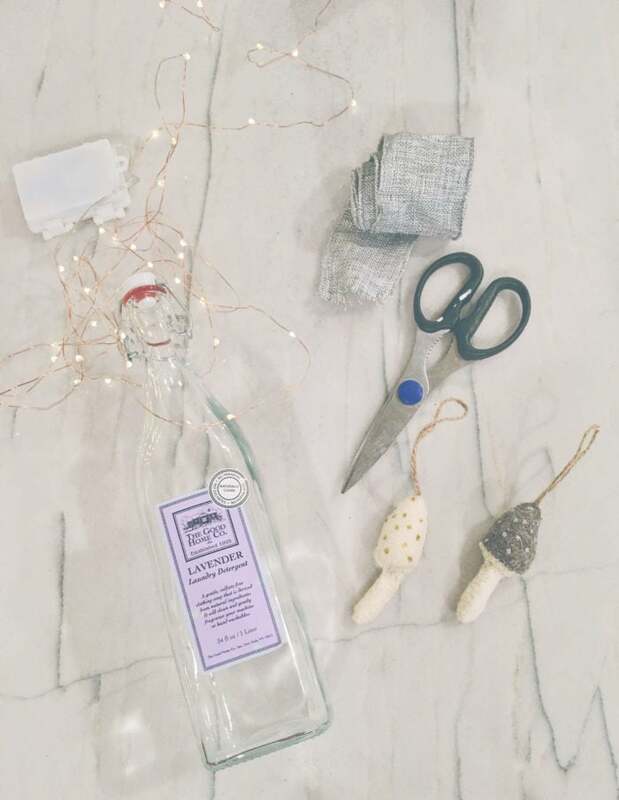 There are lots of more ways to get creative with your bottle decorations so have fun here! 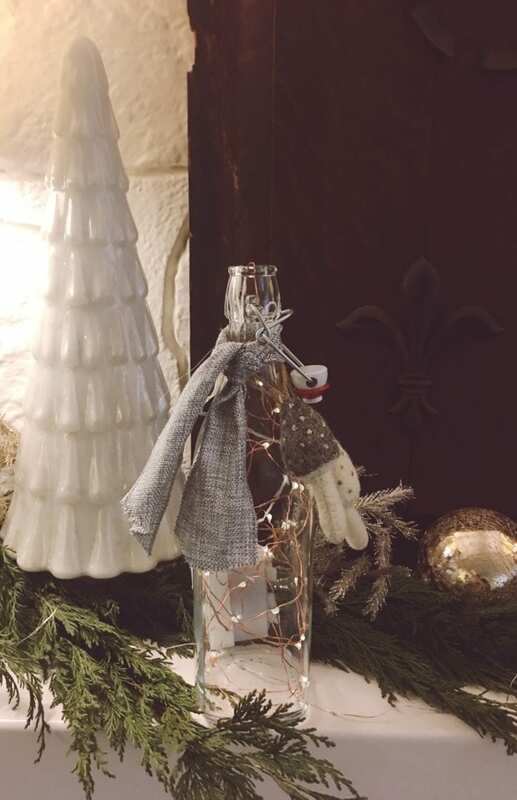 Step 6: Enjoy your bottle as part of your holiday decor or gift it to a friend. 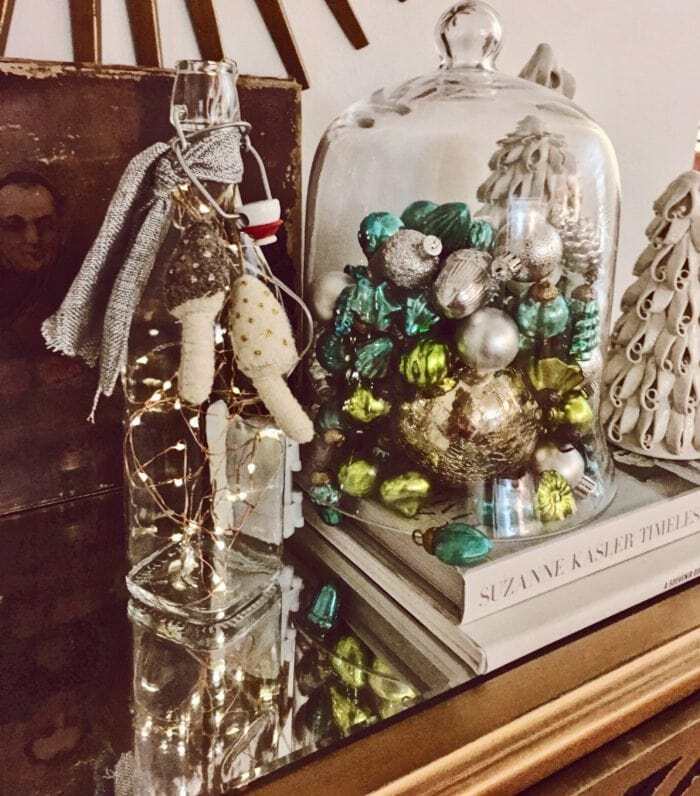 Do you have a favorite Holiday DIY? We’d love to know what it is! Comment below or tag us on social media.